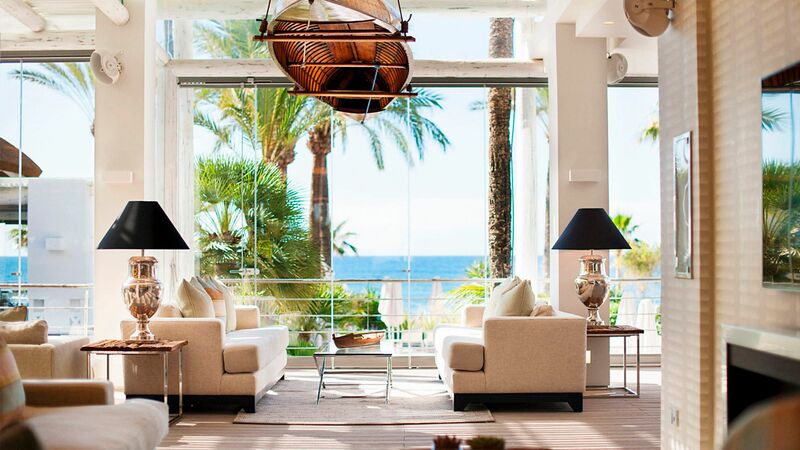 Puente Romano Marbella is a chic and elegant property located on the golden sands of the beach. The many amenities and facilities of the hotel are laid out in the style of a village, with the village square surrounded by restaurants and bars and offering events throughout the year. The spa is the perfect place to relax, while there’s also a swimming pool, loungers on the beach, and 13 restaurants and bars to choose from. Sports and activities include sailing, snorkelling, jet skiing, tennis, football, and golf, and there’s plenty more to keep the whole family entertained as well. Puente Romano Marbella is perfect for both families and couples. Hotel child prices apply to ages 5–11 years. The hotel has 183 rooms. 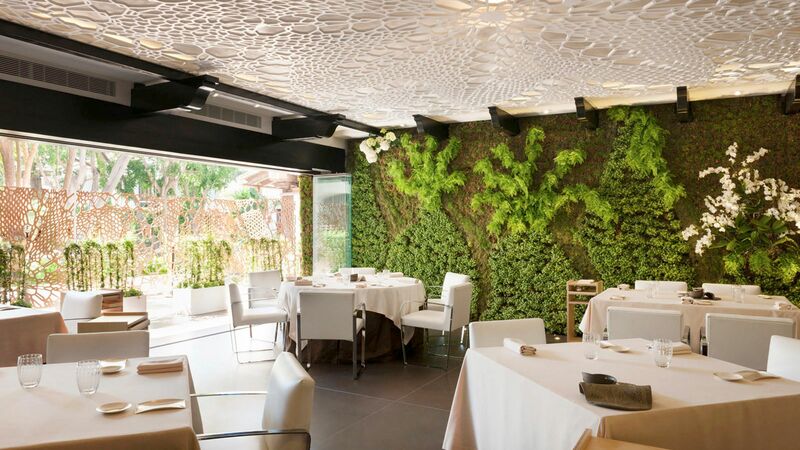 Specialising in Andalusian cuisine, this three Michelin star restaurant serves traditional dishes with a creative flair. 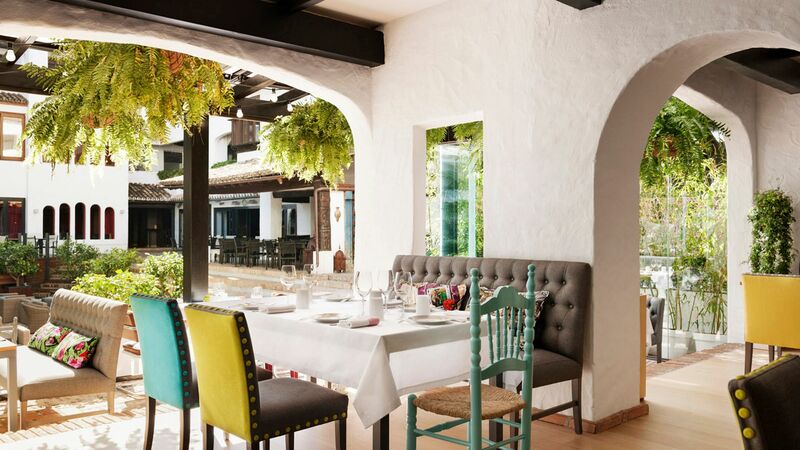 Located next to Dani Garcia Restaurante, guests dining here can enjoy an array of tapas dishes with a twist. 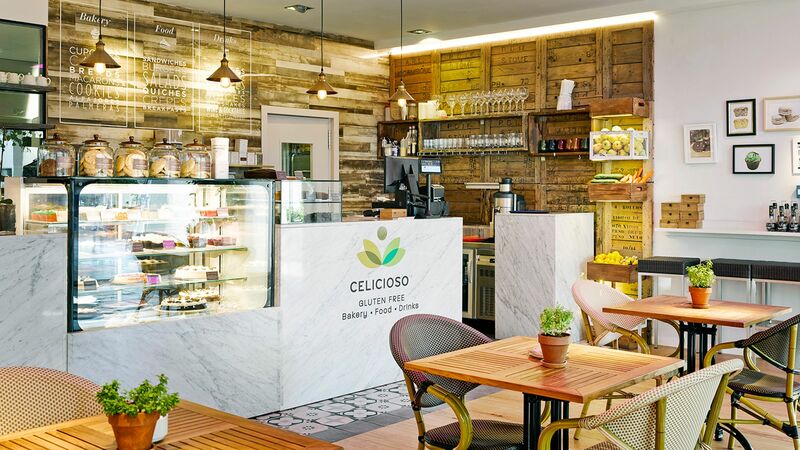 An authentic Italian restaurant served alongside a selection of fine wines. 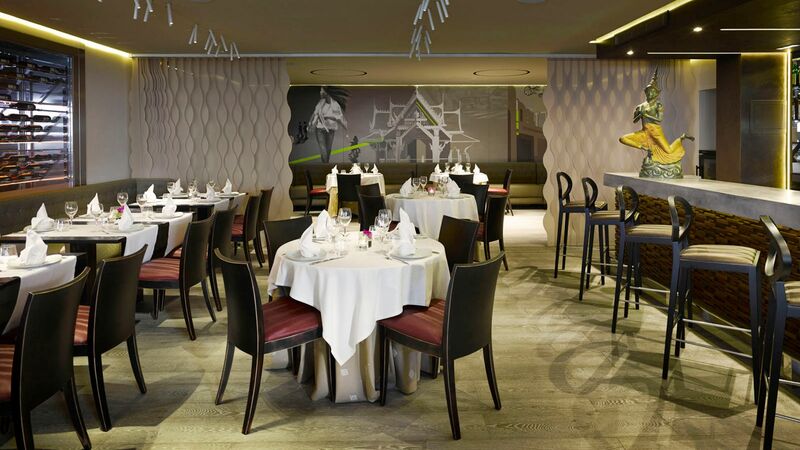 Sample delicate Thai flavours in an elegant dining space. 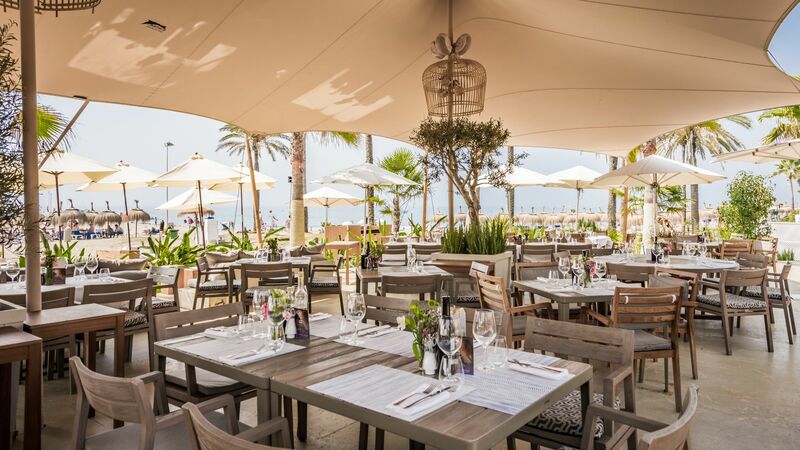 Sea Grill offers guests an exclusive dining experience whilst taking in the incredible views of the Mediterranean Sea. Live music is performed on a Thursday, Friday and Saturday evening, and at lunchtime on a Sunday. Dress code for dinner is smart casual. Enjoy a lighter meal option next to the pool where all dishes are created using organic products. Guests can enjoy a wide selection of breakfast, lunch and dinner options all of which are 100% gluten free. 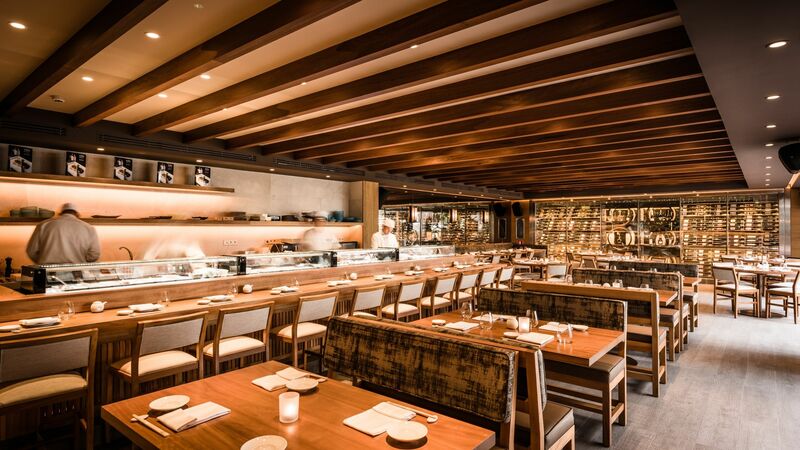 An eclectic menu of innovative cuisine, combining traditional Japanese dishes with Peruvian flavours. Guests can enjoy a variety of dishes infused with local Mediterranean spices, as well as exotic cocktails and Champagne. The hotel's beach club serving refreshing cocktails and a varied lunch menu including seafood, tapas, burgers and salads. 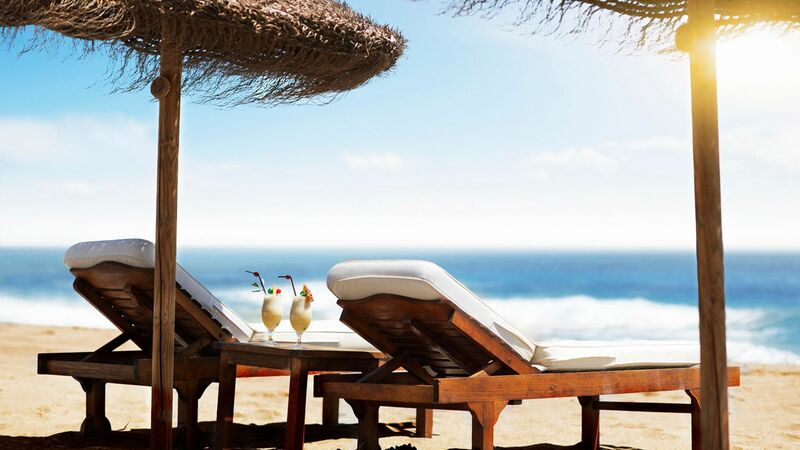 The hotel has three outdoor swimming pools and a direct access to a beach, offering a variety of watersports. 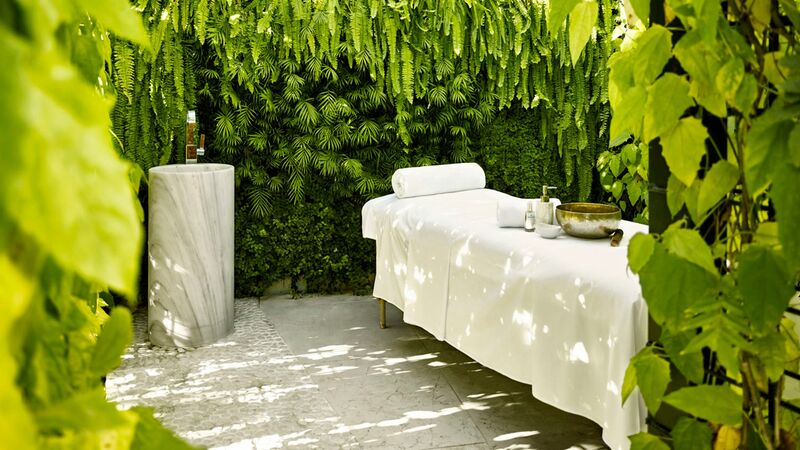 Relax at the luxurious Six Senses Spa with numerous treatment rooms, as well as hydrotherapy pool, cold plunge pool, experience showers, sauna, steam room, hammam and relaxation lounge. 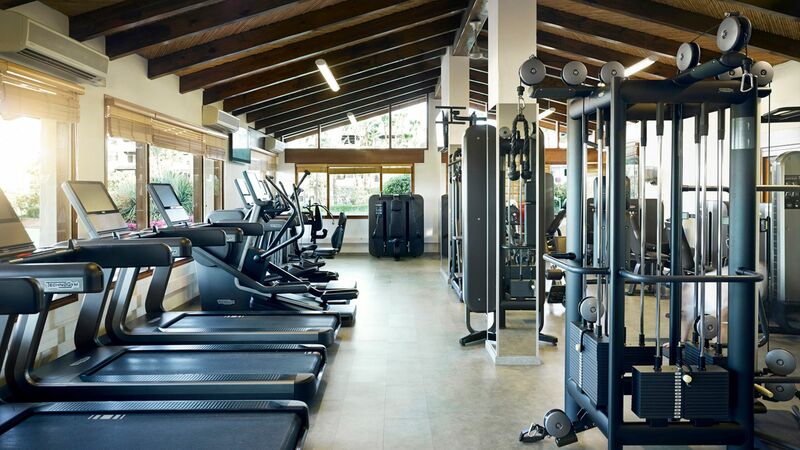 Access to the fitness studio, sauna and steam bath is free of charge. 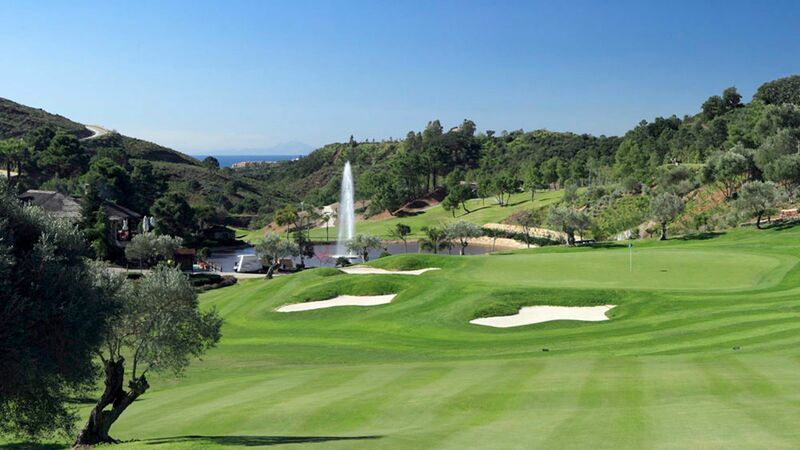 The hotel offers guests one complimentary green fee and shuttle (subject to availability) at the nearby Marbella Club Golf. 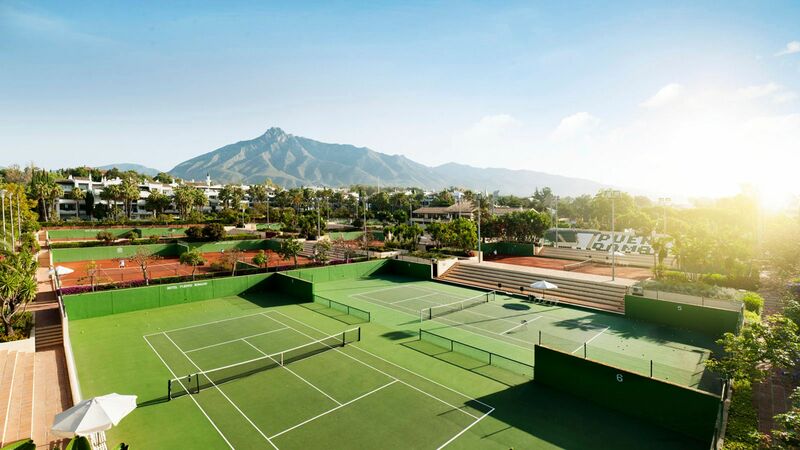 The hotel has 10 tennis courts. 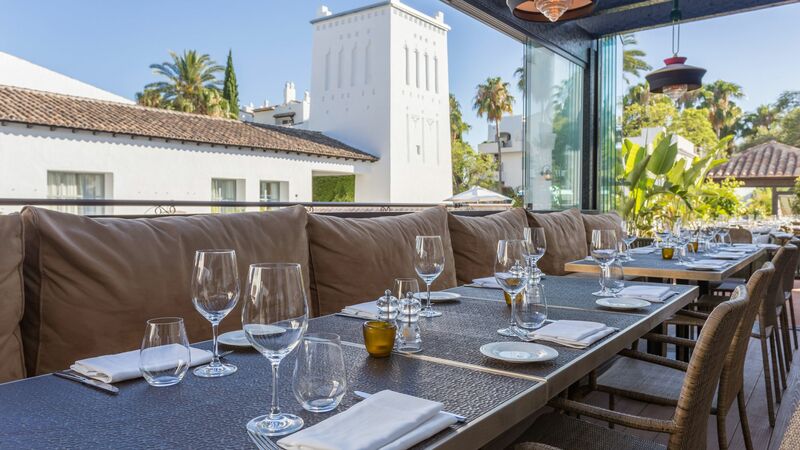 Puente Romano Marbella is located in a quiet area of lively Marbella, where guests can enjoy the glamour and amenities of Spain’s south coast. The hotel is a short walk from one of the area’s longest beaches, which has been awarded the Blue Flag status. Guests wanting to explore Marbella will find an old town with Moorish city walls dating back to the 10th Century and 16th Century European churches. The more cosmopolitan side of the city offers glitzy restaurants, cafés and bars, as well as a marina full of luxury yachts. Activities include sailing and jet skiing, as well as golf, mini golf and lots more. Puente Romano Marbella is a 45 minute drive from Malaga Airport. Junior Suites have either a king size bed or twin beds, seating area and a large bathroom with a bathtub, separate shower and double vanity unit. Outside there is a terrace area which benefits from views of the lovely gardens. Deluxe Junior Suites comprise of a king size bed or twin beds, a comfortable seating area, large bathroom and a terrace with garden views. Deluxe Garden Suites feature a bedroom with king size bed or twin beds as well as a separate lounge area. They also have a terrace area with garden views. Deluxe Garden Suites feature a bedroom with king size bed or twin beds as well as a separate lounge area. They also have a terrace area with garden views. Deluxe Garden Suites have been renovated. Grand Junior Suites have a spacious lounge area, dressing area, a king size bed or twin beds plus a Persian marble bathroom with double vanity unit, bath and separate shower. Guests can also enjoy sea views from their private terrace. Family Interconnecting Rooms are available on request. Guests staying a minimum of 4 nights will receive a €100 resort credit per room, per stay for holidays between 01 June - 30 June 2019, booked by 31 March 2019. 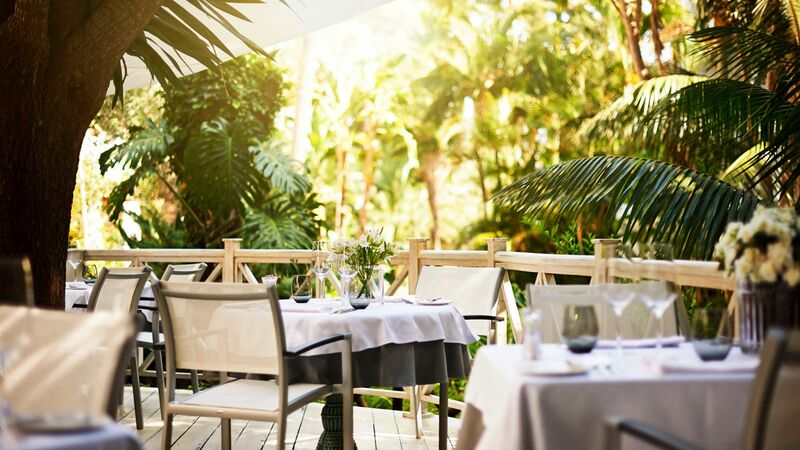 The resort credit can be used in Sea Grill, Tennis Club, Six Senses Spa, El Chiringuito, Nobu restaurant and room service. Save up to 15% on the hotel price for holidays between 15 September - 02 November 2019 booked by 31 March 2019. Save up to 15% on the hotel price for holidays between 03 November - 19 December 2019 booked by 31 July 2019. Save up to 15% on the hotel price for holidays between 20 December 2019 - 02 April 2020 booked by 31 October 2019. Save up to 15% on the hotel price for holidays between 03 -30 April 2020 booked by 30 November 2019. Guests celebrating their honeymoon or anniversary receive a bottle of sparkling room in their room on arrival for holidays until 30 April 2020. Please note not all offers are combinable. We booked this a few weeks in advance and could not have been happier. Stunning location and we upgraded our room on check in which was wonderful. Delicious breakfast and Sunday grand buffet. ++staff. Brilliant as always. Even when it?? ?s busy it feel quiet. Service is excellent, attentive but not overbearing. Restaurants too class. Staff very helpful. Facilities and estate superb. This really is a fantastic please to rest and unwind. A lot about this hotel is excellent. The Hotel and grounds look stunning. The staff are all very helpful and friendly. The room we had (junior suite) was huge and looks great and the balcony was a brilliant addition. The pools are small but are a great place to relax (as long as you don't mind kids). The gym is excellent. 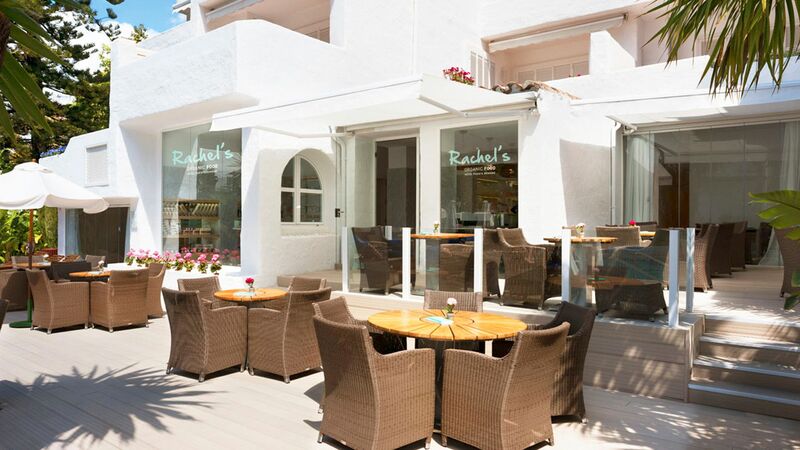 It's a good location with Marbella a 30 minute walk away. The highlight was the breakfast - this is just fantastic. Things that weren't so great: the beds were two singles, but they weren't fixed together so we kept falling through the gap in the middle that would get wider during the night! The room doors might as well not be there - you can hear EVERYTHING that takes place outside your room. Take ear plugs, it's so noisy you'll need them! And the thing that annoyed me the most was the way things cost so much - one free bottle of water a day to share between two, then they charge 6 euros for a tiny bottle by the pool... They have bikes that guests can use but they're 17 euros each to hire. Just let guests use them! Transfers from the airport are over double what a taxi charges. For the amount you pay to stay here, you'd expect to get the little things without paying more. Overall we had a great time and it's a very good hotel. Would I go back again? Not sure! Puente Romano is like a little village where you relax enormously. From the morning breakfast on the deck with view on the sea, to great walks to Marbella or the nearby port, to so many golf courses in the neighborhood . There are plenty of restaurants in walking distance with all great food. The rooms in the hotel are super clean and very nice too. Service is great as well. I can only talk positive about this place. We will definitely go back ! “ Best place on the coast! Puente Romano had everything we could ever wish for!! Great accommodation, excellent service and the restaurants and nightlife was just something else! It?? ?s close to everything but to be honest we had everything we could wish for within the resort. Highly recommended! !